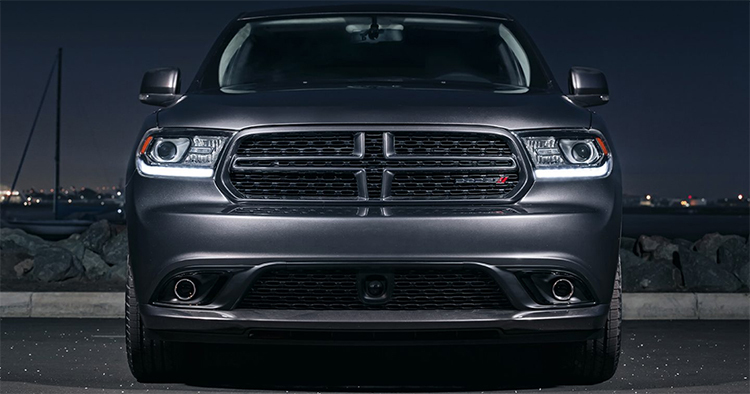 As a mid-size SUV, there’s plenty to love about the 2017 Dodge Durango. Lots of space, lots of technology, lots of luxury options, and lots of power under the hood. 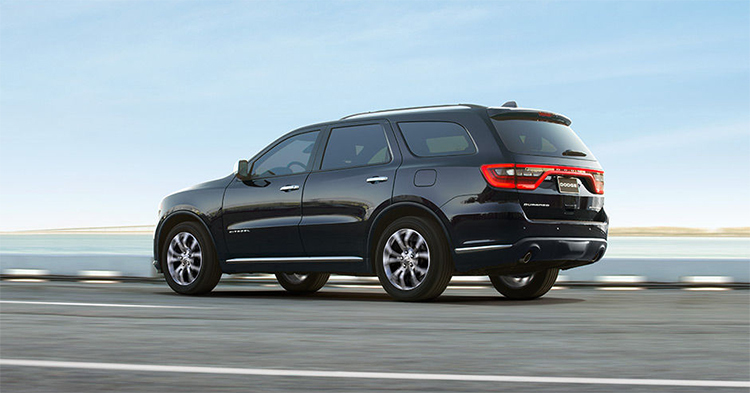 If you’re looking for an SUV with plenty of room for long trips with the whole family and plenty of safety features to go with it, then the Durango is a great choice. You can pick up a 2017 Durango as an SXT, SXT Plus, GT, Citadel, or R/T. The SXT comes with essentials like a 5-inch infotainment display, heated side mirrors, and 18-inch wheels, and the SXT Plus adds an eight-way power driver’s seat along with Bluetooth streaming audio. With the GT you’ll get leather seats with heating elements in the front two rows, 20-inch wheels, and a year’s subscription to SiriusXM Radio standard. The Citadel offers Nappa leather seats, a standard power sunroof, and an 8.4-inch touch screen with five years of SiriusXM Traffic and Travel Link Services. Finally, the R/T trim comes with a larger 5.7-liter engine, several performance upgrades, and the premium Beats audio system standard. 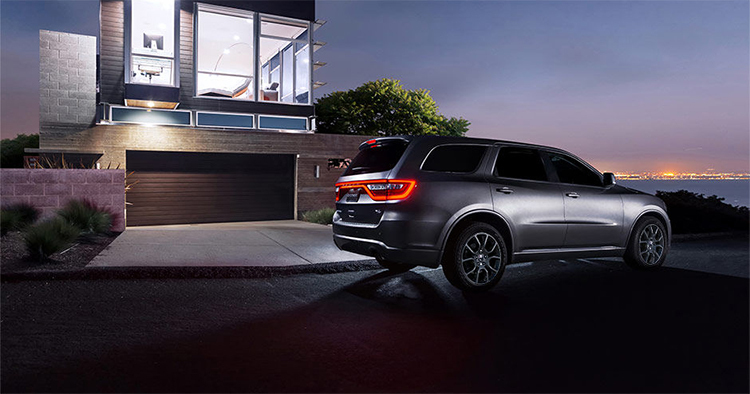 Most trims of the 2017 Dodge Durango come with a 3.6-liter V6 engine that gets 295 horsepower and 260 pound-feet of torque, and thanks to a standard eight-speed transmission it can offer 19 city and 26 highway mpg with the rear-wheel drive. With the right equipment, it can also tow 6,200 pounds. The R/T trim comes with a larger 5.7-liter V8, which offers 360 horsepower and 390 pound-feet of torque. 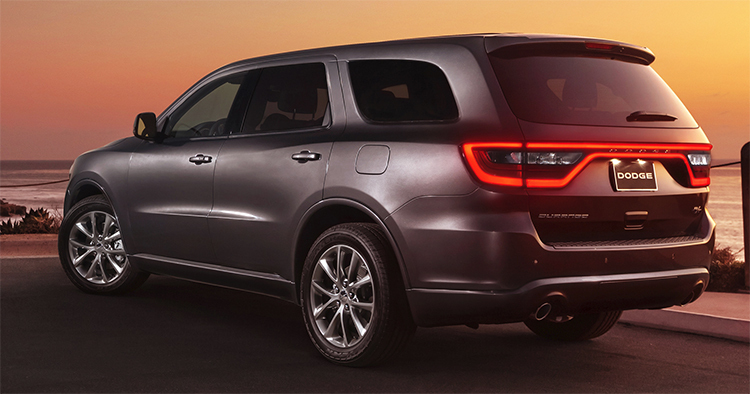 This gives the Durango the best-in-class towing ability of 7,400 pounds. Like with other SUVs, every trim of the 2017 Durango comes with an available all-wheel drive, which improves the vehicle’s traction control both on and off the road. Standard on every model is Trailer Sway Control, which adjusts the brakes and throttle in subtle ways to make sure the trailer’s swaying doesn’t cause you to lose control of the vehicle. The R/T trim is particularly exciting to drive thanks to its sport-tuned suspension and the standard V8 engine. 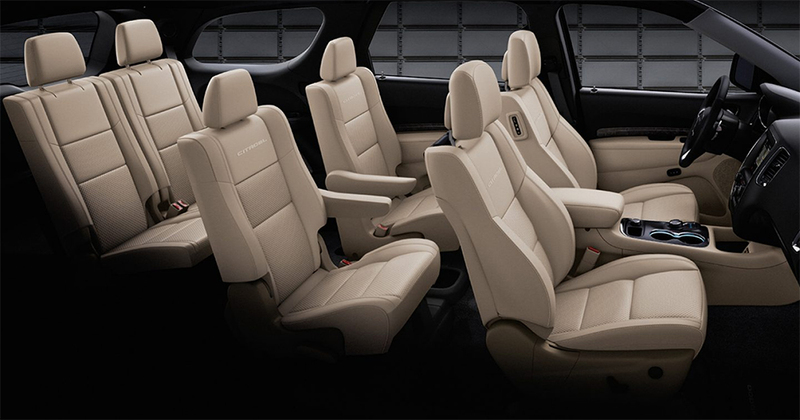 The 2017 Dodge Durango offers plenty of customization when it comes to the interior. Some trims don’t come standard with a third row if you prefer cargo space to passenger space, and you can swap in captain’s chairs for the second-row bench on every trim except the SXT. All told, you can expect up to 84.5 cubic feet of cargo space with the rear seats folded down, and the front passenger seat can also fold all the way down if you need just a bit more space. Some interior luxuries include three-zone automatic climate control, a dual-screen video system for the back rows, and a 115-volt outlet. Standard safety features on the 2017 Durango include seven air bags, active head restraints, and a hill start assist. You can also expect more safety features in higher trims, such as Brake Assist, Blind Spot Monitoring with Rear Cross-Path Detection, and an Enhanced Accident Response System, which cuts off the fuel and unlocks all the doors if a crash occurs. 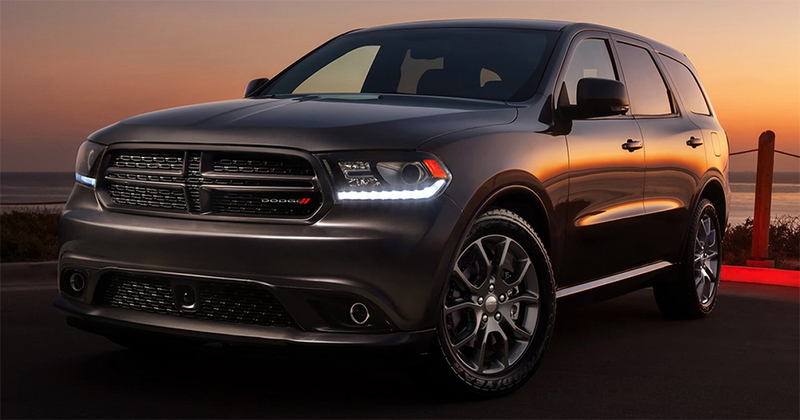 Get behing the wheel of the 2017 Dodge Durango and schedule a test drive today!